Experience life after death. Is this a blessing, or a curse? Script sources are included in the BSA. You are not restricted in how you use the contents of this mod. Rework of mod mechanics and lore/writing to focus on the concept of "Dragon Break"
Added "Prayer of Sacrifice" spell which requires an Amulet of Arkay to cast. 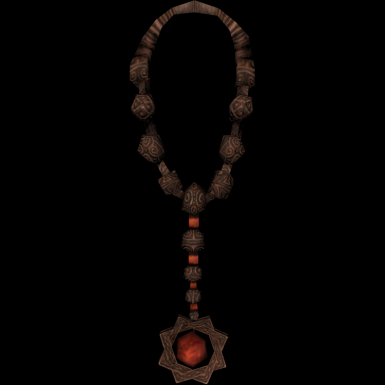 Wearing an Amulet of Arkay when you die will prevent loss of items and break the amulet. You are free to use any or all parts of this mod for any purpose you desire, as well as release anything you create that uses any or all parts of this mod, without need for permission or credit. Script sources are included in the BSA and can be extracted with any suitable tool. After over 5 years, "The Lost Update" is here! -Rework of mod mechanics and lore/writing to focus on the concept of "Dragon Break"
Please note, when I say "Lost Update", I mean that these files have been salvaged off an old hard drive I found that contained backups of my previous Creation Kit work. At this point, I have forgotten how to use the CK tools and my own scripts have become gibberish to me. As such I cannot provide further support for this mod. I therefore encourage anyone to make their own edits and updates to the mod, and release them as they please. Save files which use an older version of this mod may not work with the new version. Script sources probably contain offensive and vulgar language. I was a very immature teenager when I wrote them. Information below is likely outdated. 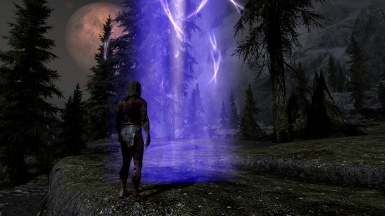 When a mortal being dies under ordinary circumstances, their soul spills forth and leaks from Nirn into the dreamsleeve of Aetherius, where it will remain until a vessel needs filled. Here it will bask in a paradise of infinite raw magicka, not to see Mundus again until all former memories and experiences and traces of the previous holder have long since been scrubbed away. Not so for you, Dovahkiin, for within the fragile mortal vessel that keeps you bound to the earth rests the soul of an ever-lasting Dragon. Like the Dovah of old who are now awakening after all these years, you are an immortal child of Akatosh and can never truly die no matter how many times you are killed. Your soul can seek out a vessel on its own. Being a progeny of Akatosh whose birth was foretold of in the Elder Scrolls, you are bound by an implicit pact with the Divines. Visit any shrine of the Nine Divines, and they will grant you a refuge where your soul may gather when it loses its way. Be wary, however. Your soul can reach far across Skyrim in search of a new vessel, but your old vessel and its worldly belongings cannot. One who has journeyed far from home and temple halls would be wise to carry an Amulet of Arkay with them, for his domain is that of life and death, and his blessings will protect you accordingly. Check the contained Readme for more details. No, seriously, check it. I'll know if you didn't.